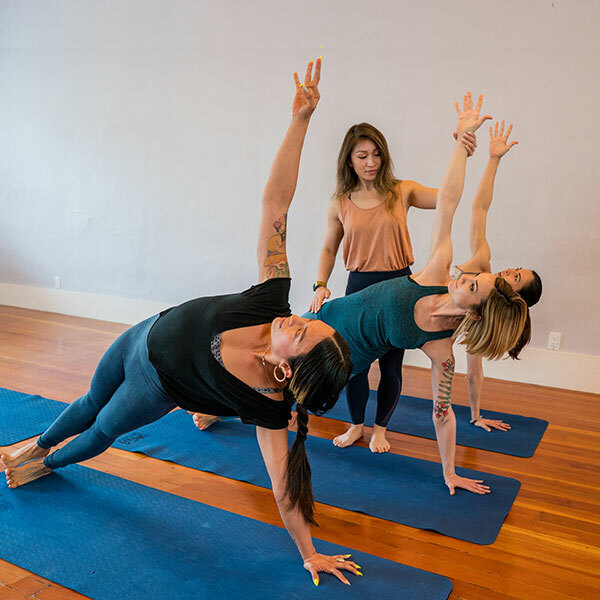 Continuing yoga education gives you the opportunity to deepen your studies of yoga, to earn continuing education for Yoga Alliance® credentialing, and to earn elective credit for the Yoga Garden SF 300-hour yoga teacher training. Many of these continuing education classes allow you to earn additional certifications and to serve special populations or teach unique methods. Yoga classes give you a daily practice…yoga teacher training gives you the structure…continuing yoga education lets you customize! Study what challenges you… what excites you…what meets your vision of your yoga career. These are the classes where you really connect with your teachers and fellow students. Pelvic Floor Workshop: Demystifying "Down There"
Cancellations are accepted up to 14 days before the start of a training; if you cancel, the cost of the program will be refunded to you. If you withdraw from a program 13 days or fewer before the program start date, you will surrender your spot in the program and forfeit the entire program cost. Yoga Garden SF is committed to protecting your privacy by protecting any information that we collect from you. Please read the following Privacy Statement to understand how your personal information is treated. We may collect any of the personally-identifiable information that you give us depending on the type of transaction you enter into, including your name, address, telephone number, and email address, together with data about your use of the website. Other information that may be needed from time to time to process a request may also be collected as indicated on the website. In some cases, we may collect non-personal information. Examples of this type of information include the type of internet browser you are using and the domain name of the web site from which you linked to our website. We use your information on an aggregated basis to do such things as operate and enhance our website and deliver advertising. We use the information collected on our website for a variety of purposes, including, but not limited to, running the website and contacting our users. We may use your information to communicate with you, to update you on products, services and benefits, to contact you for market research or to provide you with marketing information, newsletters, or other information we think would be of particular interest. In addition, if you make a purchase on our website, we may send you order and shipping confirmation emails and receipts. We will always give you the opportunity to opt out of receiving any of such materials. You can remove your e-mail address from our e-mail list service at any time by clicking on the unsubscribe link in any e-mail that you may receive from us. In addition, you can modify your information or change your preferences by contacting us as described at Contacting Us below. Your Internet browser has the ability to store small files (“cookies”) that hold information which allows a website to recognize your account. Our website and/or the Mindbody, Inc. website takes advantage of this ability to enhance your experience. You have the ability to prevent your computer from accepting cookies but, if you do, certain functionality on the website may be impaired. We will not share your personally-identifiable information with third parties except as described below. We may, however, share with partners aggregated statistical data that includes demographic information but does not contain any personally-identifiable information. We may provide your personally-identifying information to companies that provide services to help us with our business activities such as website analytics. These third parties are authorized to use your personally-identifying information only as necessary to provide these services to us and will be subject to a non-disclosure agreement in such case. We will share your personally-identifiable information with third parties only in the ways that are described in this Privacy Statement. We will never sell or rent your name, e-mail address, or any other personally identifiable information to any third-parties. If you have opted to receive our newsletter, you may cancel participation by following the instructions in each newsletter. We will honor all requests for list removal sent to us as described in Contacting Us below. We are committed to making a safe environment for children on our site. Due to the nature of the internet, we cannot prohibit minors from visiting our website. Our website is not directed toward children under the age of 13 and we do not knowingly collect information from children under the age of 13 through the website. If you believe that a child has provided information to us through the website, please contact us with this form or by calling us at 415-515-9644. You can also write us at 286 Divisadero Street, San Francisco, CA 94117. We will use our best efforts to remove all of the information provided by the child from our system. When we collect information for membership inquiry purposes, for using our services or purchasing good offered on our website, users are informed they must be at least 18 years of age or have parental consent to provide personally-identifying information to us. We encourage parents to monitor children’s internet use to keep them safe while navigating our website and all other areas of the Internet. Please note that no data transmission over the Internet is 100% secure. As a result, we cannot guarantee the security of the information that you transmit to us via our online services.